Karamalz Classic – the non-alcoholic malt beverage that consumers have been enjoying for over 50 years. 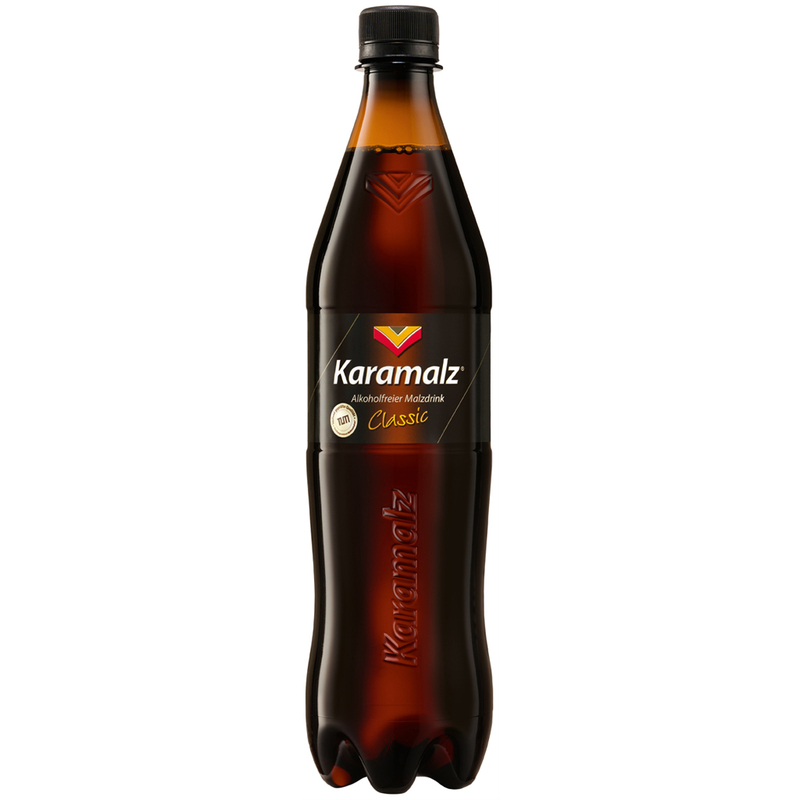 Karamalz has been the best-selling malt beverage for over 50 years and can be enjoyed by consumers of all age ranges. This classic malt drink guarantees natural ingredients, traditional recipes and a unique caramel malt taste. Refreshing enjoyment for the entire family. Karamalz tastes best well chilled. Please note that this is a carbonated beverage. Allow the bottle to rest before opening so you can enjoy the entire content. Excessive movement during shipping and handling can cause pressure built up in the bottles and may „explode“ when being opened immediately. 750 ml / 25.4 fl.oz NET. WT. Water, BARLEY MALT, glucose-fructose syrup, carbonic acid, hop extract. Wasser, GERSTENMALZ, Glukose-Fruktose-Sirup, Kohlensäure, Hopfenextrakt.